BAs direct flight to the island of Seychelles are back after a 14-year break. One may wonder if at all Seychelles is worth their visit, here is why everyone should include the island in their holiday plans. After a 14 year wait British Airways is back to the Seychelles airspace at a cost of only 699 pounds which are scheduled twice a week. Thus holiday enthusiast can spend less time to reach the 155 island paradise in the vast Indian Ocean. Who needs the disturbance that comes with a phone call when enjoying a perfect holiday? Bird island provides a brilliant destinations with the noise coming from nature like the chattering of birds but never a blackberry tone! Scuba diving and deep seas fishing in the Desrcohes islands in the Amirantes is a worthwhile experience. Early booking is advised; a visit to the ever open Four Seasons resort should be top on any tourists’ holiday agenda. Ever thought of fishing without getting wet? The Creole travel has a mini-hydrofoil glass-bottomed boat for lovers of such. 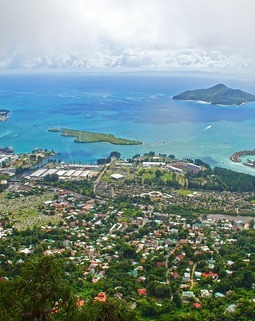 This exquisite experience can only be found at the Morne Seychellois national Park in which one manage a hike on the coastal path then followed by a catamaran cruise the Baie Ternay marine park. Sunscreens and snorkels are a must have. A visit to the Boat House on Beau Vallon bay will give a much needed spa experience for any tourist. The place is friendly and affordable. Its close proximity to a beautiful coastline is a bonus for its customers. Michael Adam’s house in the West coast side of the island is an art gallery in itself. Mr. Adam’s work has a genuine touch of the tropical color and light an inviting prospect for art lovers. Make a visit to his place! The island is Mahe, she houses a hidden valley above Anse Royale that is among the few remaining genuine plantations in Seychelles. Nutmeg, vanilla and cloves aromas fill the air beckoning tourists to come. The place is under Mr. Micheline Georges’ care and offers a good experience. Take some alone time and be the don! 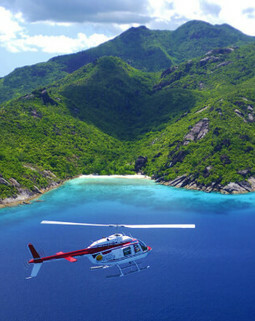 The luxury helicopter rides across the islands are possible. Imagine a Cuban cigar, a fluffy white cat and a beautiful companion with the thought of heading to your own private island. The largest palm seed in the world can also be found in Seychelles. The Coco de mer palm and the valle de Mai on Praslin Island are quite a revelation. A walk under the whispering palms that’s full of geckoes and parrots is a beautiful experience. Sunsets in Seychelles are characterized by giant fruit eating bats that fly above the forest giving them a very unique touch. The Silhouette Island will give a perfect view of this. The La Belle Tortue guesthouse is another place one must consider to visit. A honeymoon in the 25 villa resort in Denis Island which is characterized by organic food is the best ending to any wedding story. The place is a common honeymoon destination thus newlywed couples would definitely get value for money and create unforgettable memories. 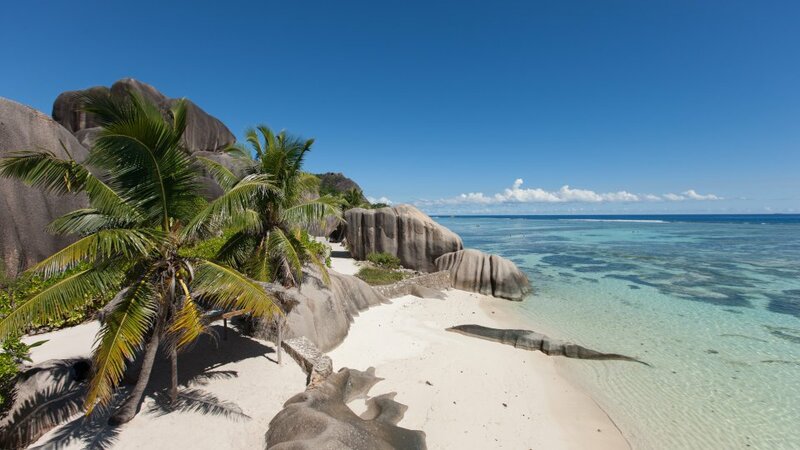 La Digue is home to the Six Senses Zil Pasyon a magnificent six-tar hotel. The place boasts of pool villas, exquisite menus among other things. Taking a boat ride to the hotel makes the visit unique in every sense!